Someone in our family is getting married! 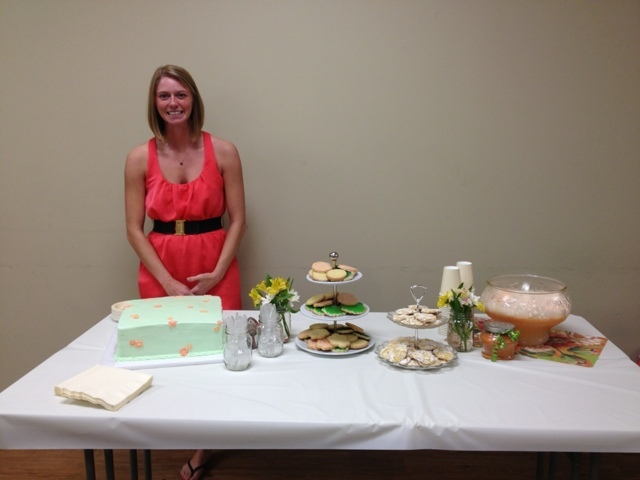 Which means a bridal shower and gearing up for her big day! If I could quit my day job and do whatever I wanted one thing on my list would be “party planner extraordinaire.”. 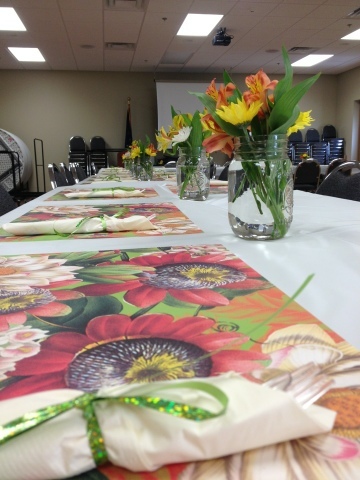 I really love throwing a good party….but at a minimal cost. It’s like a challenge. A thrill. I love shopping for bargains or making things to make the room look great as cheap as I can. We decided on using her wedding colors and my sister found some great placemats on Zulily. If you don’t know Zulily…you need to. 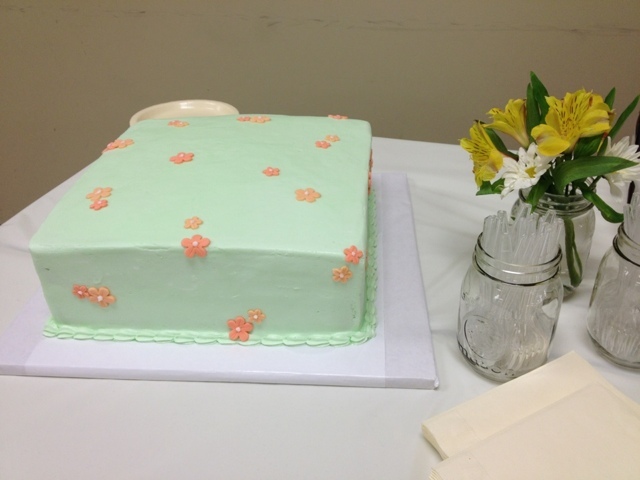 A good friend made a beautiful cake just from a picture we had given her that we found on the Internet. Each of the ladies in the family plus some bridesmaids brought a dish to add to the spread. This also saved on one person buying all the food. I borrowed mason jars from a friend and bought some simple daisies for cheap at a grocery the morning of. My sister got the paper goods and added a little bow to the silverware wraps for a little extra color. As I’ve said before our family is big, but very close. I loved being a part of my cousins process to her big day and I look forward to planning many more bridal showers for the rest of my cousins and family. 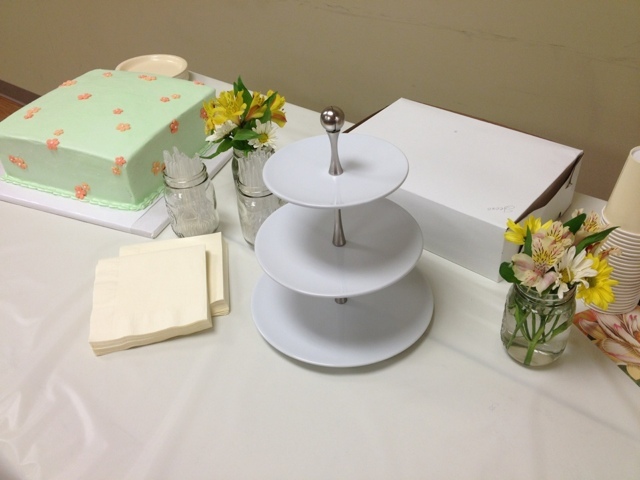 Some pictures below from the bridal shower.